The current student loan statistics are staggering. The total amount of U.S. student loan debt in 2016 has reached a whopping $1.26 trillion. That’s right, trillion with a T. There are over 43 million Americans paying off student loans at an average payment of $351 per month. Most borrowers are between the ages of 20 and 30 years old and the delinquency rate on those loans is holding steady at around 11%. Delinquency means late fees which can average near 6% of your minimum payment. When those start getting assessed repeatedly that just adds more to the bill. Then there is the high interest rate on these loans and that’s more money coming out of Americans’ pockets every month as they try desperately to get out from under their burdensome student loans. At these numbers, it’s no wonder that so many individuals are looking for help. 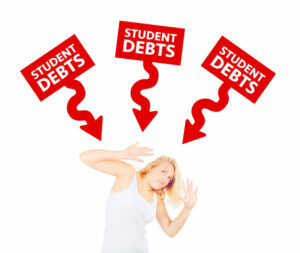 However, coming up with a debt repayment plan for student loans isn’t always as easy as it seems at first. Finding the right arrangement for your situation often depends on how much you owe and the terms of the loan agreement that you entered into with your lender. For many students, that means getting federal assistance. Those student loans come with a number of benefits that give you the freedom to reduce your monthly payment, postpone payments, or have the loan forgiven in its entirety. These loans give you options for repayment that are flexible. If you should find yourself unemployed or dealing with some kind of severe financial hardship, your lender should be willing to work with you. Private lenders are somewhat less forgiving when it comes to repaying your student loans. While there are still some forms of protection attached to these loans, they can also come with much higher rates and fees that you won’t find with federal assistance. Those fees are not always fixed either. Many banks and alternative lenders may start by offering a low interest rate at first, but they can often increase at double or even triple the number over the duration of the loan term. That’s where many people get into trouble. While they’re trying to pay off the principal amount that was borrowed, they are instead merely paying down the interest every month. Meanwhile, they haven’t made a dent in the initial sum that was borrowed and a loan for $25,000 can quickly balloon into a repayment that ultimately nets $60,000-$70,000 in total to the lender once all is said and done. That’s an obscene amount of money for someone who merely wanted to get an education. A private loan may also negatively impact your credit score, which is no way to start out in life, either. 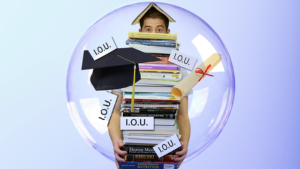 Most students might not even qualify on their own because they have too little credit history. These lenders are forced to get a co-signer. This is typically a parent or legal guardian who may have a credit score that may not be ideal for getting the best rates. Lower scores usually mean higher costs that come with borrowing money. These student loans are going to see higher interest rates that are usually variable. That means that a loan that already had a high interest rate could very well cost far more down the line, making repayment that much more difficult to accomplish. Financial aid can be helpful to many students. This type of financial assistance will often reduce the amount they need to borrow either from a federal lender or third party resource. The various different federal loan options typically come with limits so those borrowers don’t get too deep in the hole for debt. These limits usually take into account how much tuition will cost and the amount of any financial aid that the student is eligible to receive from the school. For instance, Stafford loans will allow you to borrow as much as $31,000 over your college tenure while grad students can typically borrow as much $138,500. Private lenders will usually impose yearly caps and factor financial aid into the amount they are willing to lend to students. In either case, it’s important to borrow only what is necessary for getting an education at the institution of your choice. Take on anything more than that and you’re only asking for trouble later on in your efforts to repay the loan. If you’ve decided to go to the federal government for a loan before a private lender, then you have two options before you for receiving money towards your college tuition. The first is the William D. Ford Federal Direct Loan (Direct Loan) Program in which your lender is the U.S. Department of Education. Alternatively, there is the Federal Perkins Loan Program in which the school that you have chosen to attend is your lender. Under the first option, there are four variations on receiving a Direct Loan from the government. The first is through Direct Subsidized or Direct Unsubsidized Loans (sometimes referred to as Stafford Loans). These are lending arrangements made to students who require financial aid to help defray the costs of tuition at an accredited college or career school. Only undergraduate students who can demonstrate their financial hardship in paying tuition are eligible for Direct Subsidized loans. The school you have chosen to attend will decide how much you are allowed to borrow and you may not take more than you need. As for the interest on a Direct Subsidized loan, the Department of Education will cover it so long as you are going to school at least half-time, for a duration of six months after you leave that school, and in the case of any deferments or postponement of your loan payments. Direct Unsubsidized loans are offered to all eligible undergraduate, graduate, and professional students. Prospective borrowers do not need to provide any proof of financial hardship. The school you have chosen to attend will decide how much you are allowed to borrow based on tuition costs and any financial aid you may be otherwise receiving. In this case, however, you are the responsible party for paying interest on the money you are borrowing. Any interest not paid, for any reason, will accrue and be added to the principal of the loan. Direct PLUS Loans are available to graduate and professional students as well as the parents of undergraduate students who wish to enroll in college but need help to cover tuition costs that are not paid for by financial aid. You are expected to pay interest on these types of loans. Just as with Subsidized Loans, the Department of Education is your lender. However, in order to qualify for a Direct PLUS loan, you must have good to excellent credit. Anything that reflects poorly on your credit report could result in your disqualification from obtaining a Direct PLUS loan. Direct Consolidation Loans are available to all recipients of federal student loans. These can help you bring all of your loans into one lump sum through one single servicer. Consolidation allows for repayment of all federal loans with one monthly reimbursement instead of many payments to multiple lenders. Many borrowers choose this type of arrangement because it’s not only more convenient but it can also help to reduce your monthly payments because they are spread out over a longer period of time, usually for a 30 year term. Perkins Loans are lending arrangements that come with low interest rates of 5% and are available to all undergraduate, graduate, and professional students who can demonstrate exceptional financial hardships in paying for college tuition. In this instance, the school is your lender and you are responsible for making payments to the school or the school’s loan servicer. The amount you may receive is dependent upon on how much you need as well as if the funds are available from the school. Most institutions have a set limit on the amount they can loan out to students. That means that if you think you will need to access this program and meet the eligibility requirements, the earlier you apply, the better your chances are of being approved for the loan. Federal and third-party lenders alike have a number of stringent protections in place to combat defaults on the part of borrowers who run into problems trying to repay their loans. Private lender arrangements may not be dismissed for any reason with the exception of death or permanent disability. Don’t expect to declare bankruptcy and have your loan forgiven. Only if you pass away and your estate goes into bankruptcy can you then have the loan dismissed. Any other scenario that may come to pass, such as a rate increase or you find yourself in dire financial straits, will still require you to pay back the money that was borrowed. If you fail to do so then your account could wind up with a collection agency, you could eventually be sued, and your wages garnished until your loan is repaid in full. If you are having trouble meeting your financial responsibilities, then private lenders are willing to work with you in some capacity. They will usually only offer to extend the length of the term. The lenders refrain from lowering your interest rate and they certainly won’t reduce the principal on the account. However, federal loans often provide you with more wiggle room. This is the obvious first step when you’re in need of some help trying to get your student loans paid off. If you find that you’re beginning to struggle with the payments, then you should contact your provider and let them know that you are having trouble. Ask what your options are with respect to deferments, forbearance, lower monthly payments, and other repayment agreements. Continuing a succession of late payments will only do serious damage your credit score, making default even worse. Should you make an effort to contact your loan servicer and they refuse to help you out, then your next recourse is to get in touch with the Consumer Financial Protection Bureau (CFPB). This is a government agency that was established by Congress to protect consumers’ right and privileges under the federal consumer financial laws. The bureau can help you resolve any problems you may be having with your loan servicer, whether it’s an issue getting in touch with them or getting a response back from them to discuss your loan repayment problem. The CFPB is in place to hear all complaints and inquiries with respect to customer service problems, repayment options, or anything where the consumer is experiencing a problem with their loan servicer. As we mentioned earlier, it’s much easier to get a loan deferred or even forgiven if you have a federal student loan compared to a third-party loan. The first thing to do is get in touch with your loan servicer and explain that you are having difficulty making your payments. You may qualify for a deferment or forbearance on the loan. A deferment is basically a postponement of your payments. This includes the monies owed on your interest and the principal amount that was borrowed. 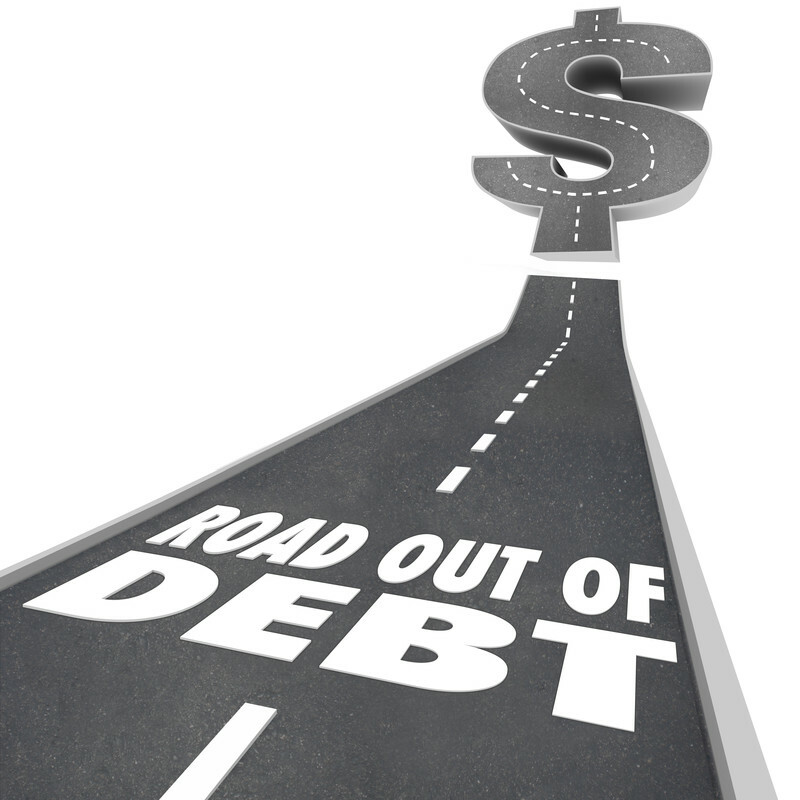 With a deferment your payments on the loan are put on a temporary hold. During this time, you do not need to make any payments on the loan and, in some cases, the government will even pay the interest on your loan as this time. However, only certain types of federal loans apply for the government to cover the interest in times of deferment. These include Perkins loans, Direct Subsidized loans and Subsidized Stafford loans. Unsubsidized and PLUS loans are not eligible for the government to pay the interest. In these cases, the interest that accrues is still your responsibility in a deferment period but you do not yet need to pay it. However, it could be added to your balance after the deferment ends. As you might expect, the type of loan you have is considered against certain other criteria to determine whether or not you qualify to receive a deferment. These requirements include your enrollment in school, your financial situation and income, active military service, the type of school you attended, and so on. This is the other major option you have in the event you do not qualify to receive a deferment. A forbearance grants you a stay on your payments for a period of up to one full year. During that 12 month period, your interest will continue to accrue on Subsidized and Unsubsidized loans and all PLUS loans. Consumers seeking forbearance could qualify for one of two options. A request for discretionary forbearance is granted on the grounds of the borrower running into significant financial hardship or illness. Demonstrating either of one of these situations to your loan servicer will get you the extension on your loan payments for up to the full year, depending on the severity of your situation. This type of forbearance comes with a longer list of possible qualifications for consumers looking to receive consideration for a stay of their payments for the allowed duration of time. Requests may be made under the following conditions: if you are serving in some form of internship related to the medical or dental field, your monthly payment on all of your loans is 20% or higher than your total monthly gross income, you are eligible for the teacher loan forgiveness program, you are a member of the National Guard and have been activated but do not qualify for a military deferment, you are serving in a position in which you were given a national service award, or if you qualify for a partial repayment of your loans through the U.S. Department of Defense Student Loan Repayment Program. 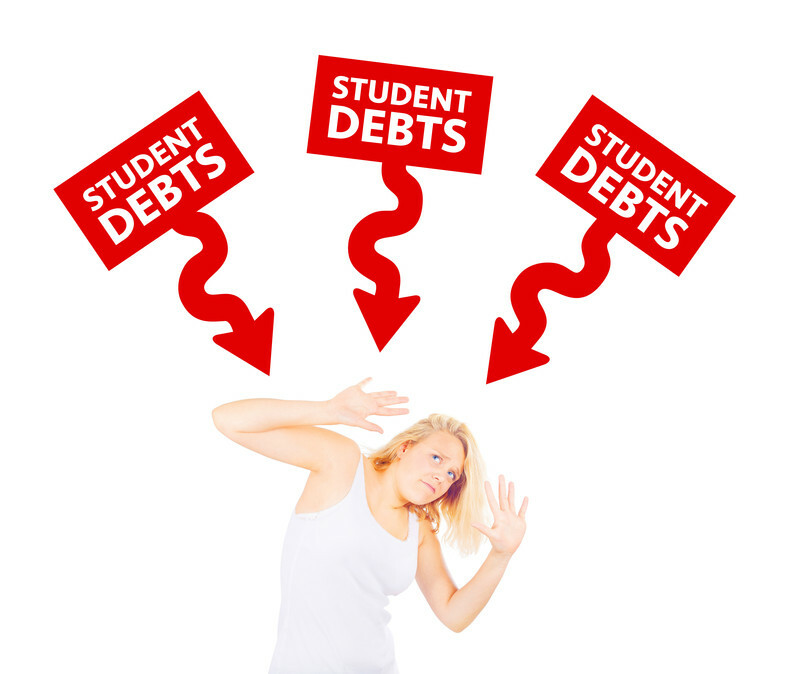 In certain instances, you could qualify to have your student loans forgiven entirely. That means you would no longer be responsible for repayment of the money that you borrowed and you would then be free and clear of the arrangement entirely. There is a list of possibilities under which you might qualify for a loan forgiveness. If any of these apply to your current situation, then you could be eligible to stop making your monthly payments. Should you meet the requirements of these programs, then you must contact your loan servicer and request forgiveness. The federal government currently has three options for receiving income-based loan forgiveness considerations. This option allows for the remaining balance of your loan debt to be forgiven after you have made 20 years of qualifying payments. It also provides the borrower with a subsidy on the interest accrued on the account. In addition, the outstanding balance must be equal to a large part of the borrower’s annual income, typically in the 15-25% range. Should your loan be that much then you could qualify. However, keep in mind that only federal Direct loans are eligible for the PAYE plan. Borrowers may only qualify if they are a new borrower as of October 1, 2007 and if they received money from a Direct Loan after October 1, 2011. Similar to the PAYE, if your student loan debt is equal to more than or represents a majority of the borrower’s annual income then the loan could be forgiven. The borrower must demonstrate reasonable financial hardship that prevents them from keeping up with the payments. In this case, as with the PAYE option, your income is based on adjusted gross, so if you file jointly the AGI will also account for your spouse’s income. However, the loan will only be forgiven after the borrower has made qualifying payments over a course of 25 years. If you don’t qualify for either the PAYE or IBR plans, then you might have better luck with this option. It comes with many of the same requirements for eligibility as the other plans where borrowers are not making enough money to afford to repay their loans. The payments you will be expected to make are for the span of 25 years, at which time the remaining balance will be forgiven. The debt amount that is forgiven will be considered taxable income so you will have a tax bill to deal with later on down the line. In every one of these cases, there are a litany of terms, conditions, and limitations that borrowers must comply with to bring down the amount of their debt. The typical term for forgiveness is after a span of 20-25 years. There are other programs that can bring the term down to 10 years, but they require you to work in a public service occupation. One factor is mandatory in every instance; you must make all of your qualifying payments on time without fail. If you miss a payment, then you could be disqualified from the program, in which case you will be responsible for the outstanding entire debt amount. While the burden of student debt can be rough to deal with on an annual basis, the government offers some relief that can help you keep even more money in your pocket. For every year that you are paying off either a federal or private loan, the IRS allows for a tax deduction that families may claim. The interest may be deducted at up to $2,500 annually. However, there are eligibility requirements that must be met. Families may qualify only if the student is enrolled half time at a properly accredited school and if their adjusted gross income is $80,000 or less. Joint filers are eligible if they make $160,000 or less. The only types of loans that qualify are those you receive from federal or third-party lenders and they must be used to cover tuition costs for your education. Any other monetary loans from relatives, remission plans, or funds taken through a home equity loan or credit line are not eligible for tax-deductible status.